Most employers recognize that individuals with a criminal history are a valuable talent pool that they cannot ignore, they understand that fairly considering the applicants who present minimal risk isn’t just good social policy, it’s good business policy. However, many of these employers do not have the formal guidelines in place to ensure that former offenders are considered for employment in a thoughtful and consistent manner. To ensure consistency, fairness, and risk mitigation, employers need policies and tolls to guide their deliberations when considering individuals with criminal histories for employment. In this seven-part webinar series, Imperative will be sharing our insight and experience from two decades of consulting with employers about the legal and practical considerations of using criminal history in making hiring decisions and to properly equip employers to make fair, well-informed, and legal hiring decisions. 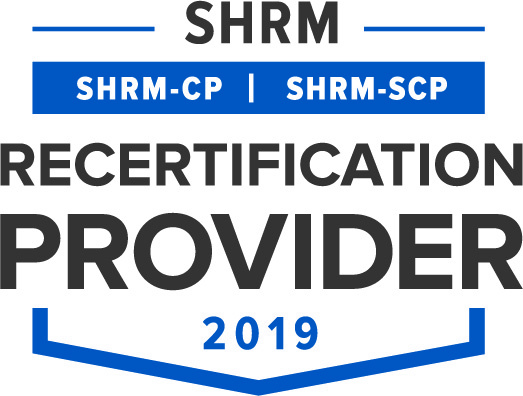 is approved for 1 hour of recertification credit from both HRCI and SHRM. 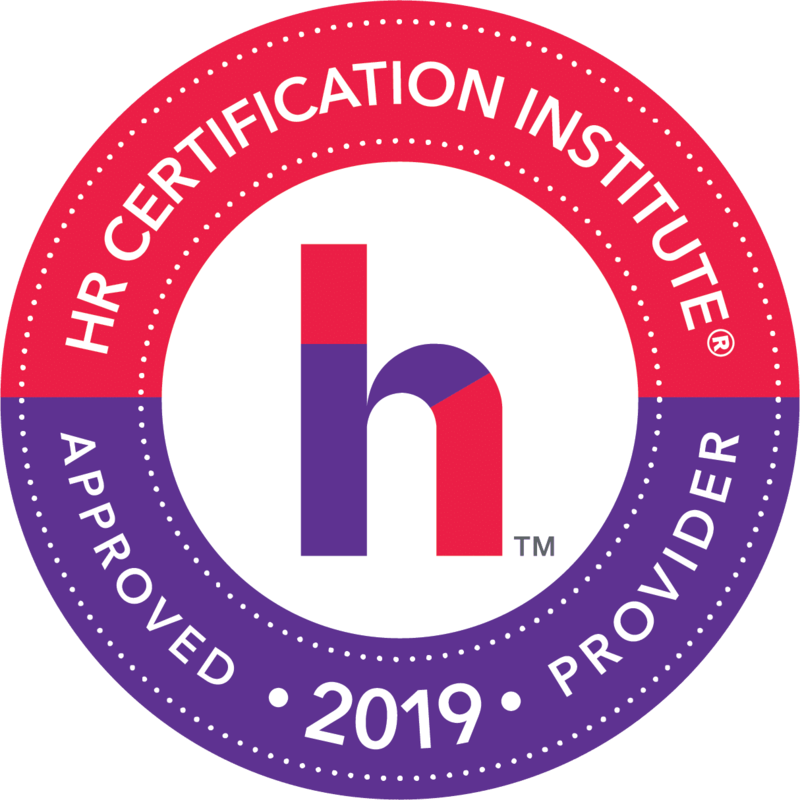 Each webinar is approved for 1 hour of recertification credit from both HRCI and SHRM. Almost one in four American adults have been arrested or prosecuted for a criminal offense. While many of these are minor instances of little concern to employers, many employers are uncertain about whether to hire individuals with more serious offenses, potentially missing out on a reliable and available talent pool. In this presentation, we will dive into the statistics and studies surrounding criminal offenses, recidivism, and employment as we review the benefits to businesses from considering and hiring qualified former offenders for positions. We will also review risk-evaluation and mitigation techniques employers should consider to ensure smart hiring decisions. Almost half of new hires will fail within 18 months. With estimates of the cost of a bad hire ranging anywhere from $10,000 to $250,000, getting new employee selection right is critical to business success. While not all bad hires are predictable based on the employees’ past performance and behavior, many are. In order to effectively and consistently evaluate the criminal histories of prospective and current employees, it is important that employers consider which criminal offenses are relevant to specific jobs. Additionally, the age and frequency of offenses should also be considered when evaluating relevancy. In this webinar, we will walk through the process of developing a criminal history relevance matrix, an effective tool for documenting employers’ policies with regard to the impact of individuals’ criminal histories on their employment eligibility. May 08, 2019 12:00 PM CST | Register Today! Nationwide, the “ban the box” movement is limiting when and what employers can ask applicants about their criminal history. Federal agencies like the EEOC, state legislatures, and even municipalities have weighed in on this topic, leaving employers in a quandary as to how to make an informed hiring decision without running afoul of myriad laws. In this one-hour presentation, we will discuss what and when to ask applicants about their criminal history. May 29, 2019 12:00 PM CST | Register Today! Because placing the wrong person in the wrong position can lead to loss, litigation, and liability, employers use a variety of application and interview techniques. But they also realize the importance of verifying the information provided by their employment candidates. At the same time, dozens of federal class action lawsuits have been filed against employers claiming violations of the Fair Credit Reporting Act (FCRA). This continues a several-year trend of class action lawsuits that have resulted in payouts to applicants and employees, including those who suffered no harm from the defendant-employers’ actions. In this presentation, we will discuss the ways employers can verify their applicants claims while avoiding the most common causes of background check litigation. June 19, 2019 12:00 PM CST | Register Today! Marijuana has been partially or fully legalized in a number of states though it remains illegal under federal law. This challenges employers with what to do about employees who “partook” while in a state where marijuana is legal under state law. Beyond marijuana, the abuse of prescribed medications – particularly opioids – is increasing employers’ workers’ compensation costs, delaying injured employees’ return to work, and creating safety issues on the job. In this one-hour presentation, Mike Coffey, SPHR, SHRM-SCP will review the legal, scientific, and practical landscape in regards to marijuana, opioids, and other drugs. July 24, 2019 12:00 PM CST | Register Today! Ignoring such insider threats can damage an employer’s ability to mitigate liability if an employee commits an unsafe or criminal act in the course of their employment. At the same time, many employers are hesitant to delve unnecessarily into their employees’ personal lives or are uncertain as to how to respond when an employee is arrested. In this presentation, Mike Coffey, SPHR, will review the kinds of insider threats about which employers may need to be aware. He will also review policy considerations to ensure that red-flag incidents are identified and evaluated fairly. These considerations include employee self-reporting of certain incidents, periodic background checks, evaluating job-specific risks suggested by incidents, and appropriate responses to job-relevant incidents. To register for the entire 2nd Chance Employer webinar series, please provide your information below.